This game was released on 15th June 2014. King's Valley Labyrinth is extension game of original King's Valley. Board size is larged 7 by 7 square grid and 4 pillar stone spaces are added. Sa same as original game the simplicity of the game stems from the fact that the movement of all the pieces is the same. 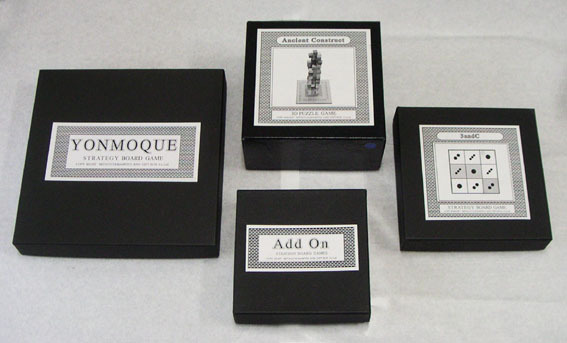 All pieces move horizontally or vertically or diagonally. But when a piece is moved it must continue its movement until, and only until, it reaches a vacant square adjacent to (alongside) either the edge of the board or another piece or pillar stone. Stopping in the middle of a “slide,” as is done in chess, is not allowed. 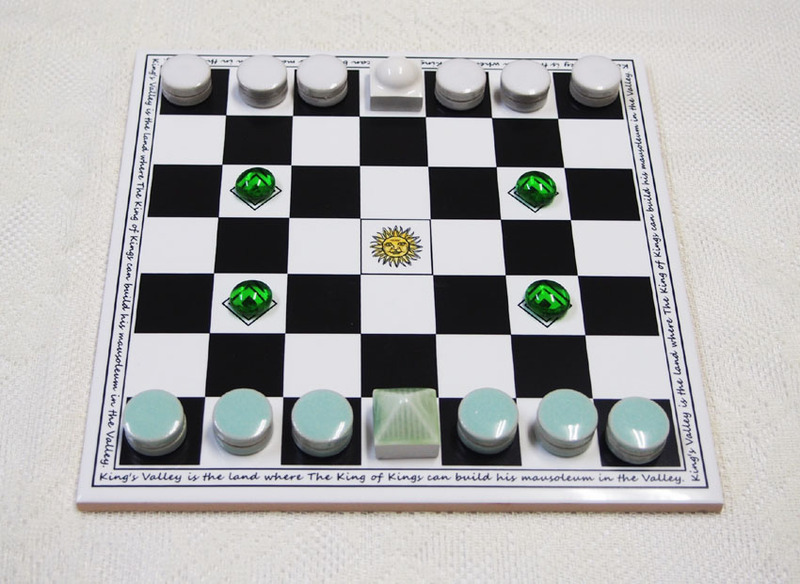 The game is decided when one player moves the King piece to the center square--the King's Valley--thus winning the game. 4 pillar stones make strategy very deep and dfficult and make You feel that you are walking around labyrinth to King's Valley. information of original game about King's Valley. click here! more information in japanese about King's Valley Labyrinth. click here! 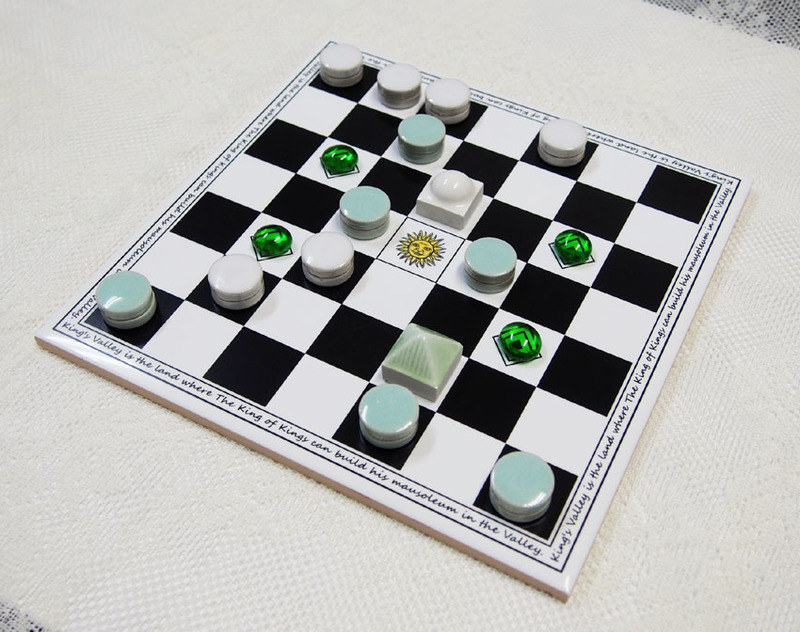 King's Valley Labyrinth is played on a 7x7 tikes board which center square is the "King's Valley". 4 pillar space are marked. 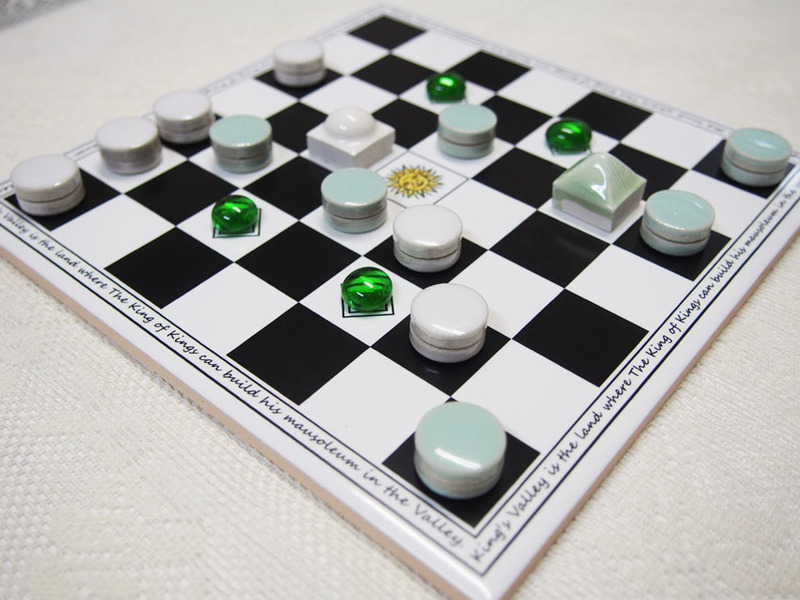 Each player has a king piece and 6 soldier pieces. Each player settle 7 pieces on the first row on each side. King piece is settled on the center tile of the front line and 6 soldier pieces are on the other tiles. 4 pillar stones are settled on the marks. 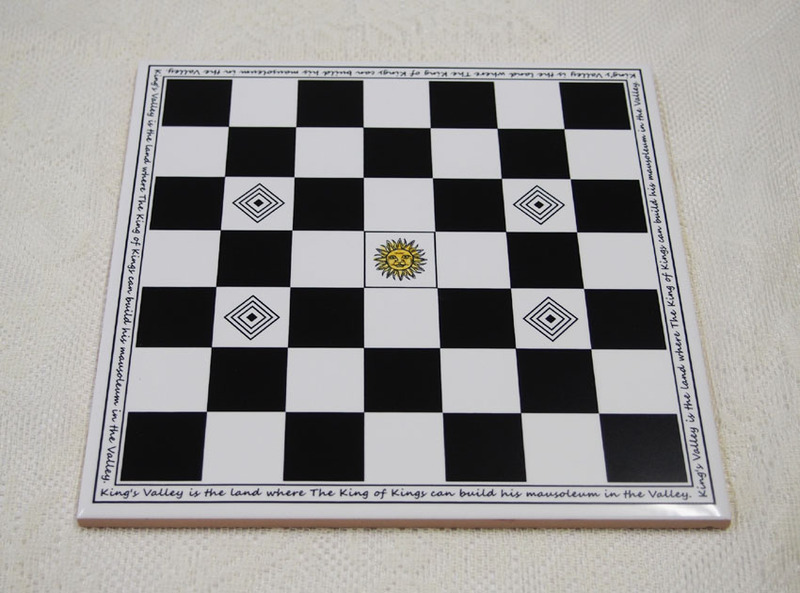 To move his/her king piece to the central "King's Valley" tile. 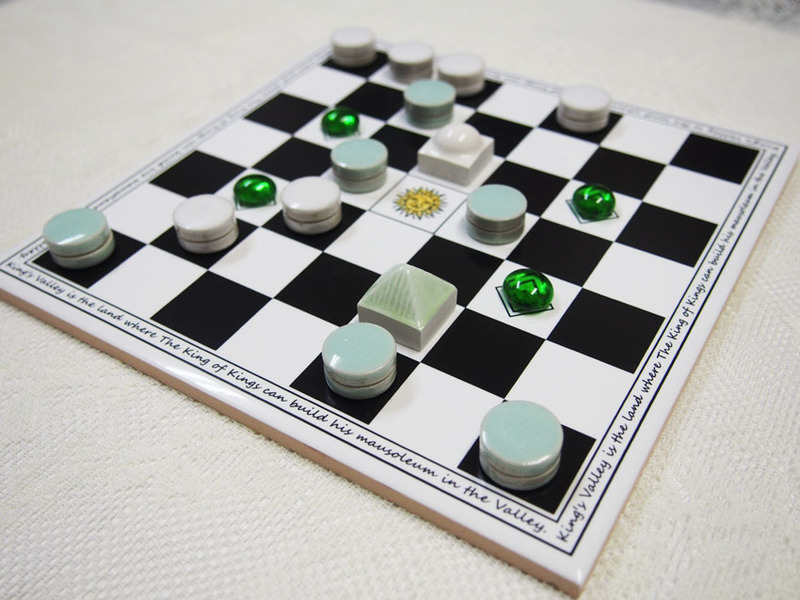 Game-play consists of players taking turns moving one of their pieces onto a vacant square of the board. 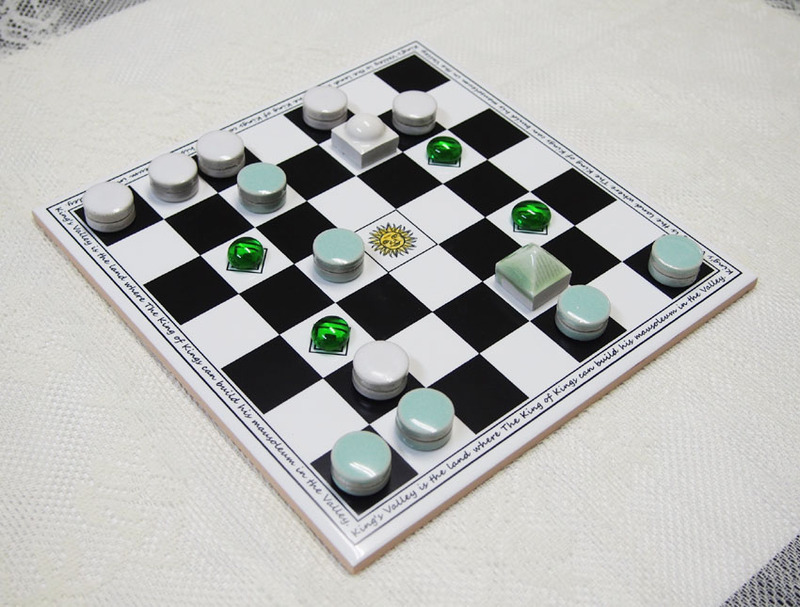 Players on their turns must move one of their 7 pieces: either one of the four Soldiers or the King. All pieces move in the same way: horizontally, vertically, or diagonally. Pieces continue their movement until, and only until, they reach a vacant square adjacent to (or alongside) either the edge of the board or another piece or pillar stone, at which point the movement ends. Stopping in the middle of a “slide,” as is done in chess, is not allowed. The player going first must, for the first move of the game, move a Soldier. Passing a turn is illegal. No one can pass the turn must move anyone of pieces. 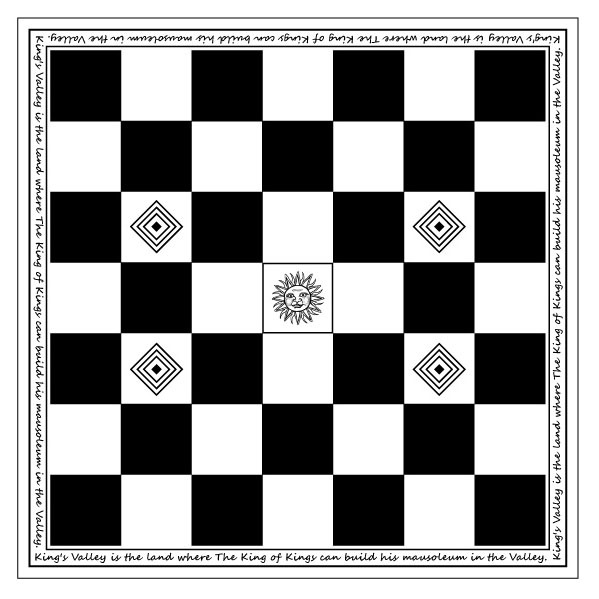 Player who moves his/her king piece to the central "King's Valley" tile. If King is fixed on the square he can't move at next turn. game is lose. There is scarcely occurred when both skillful players continue long play.